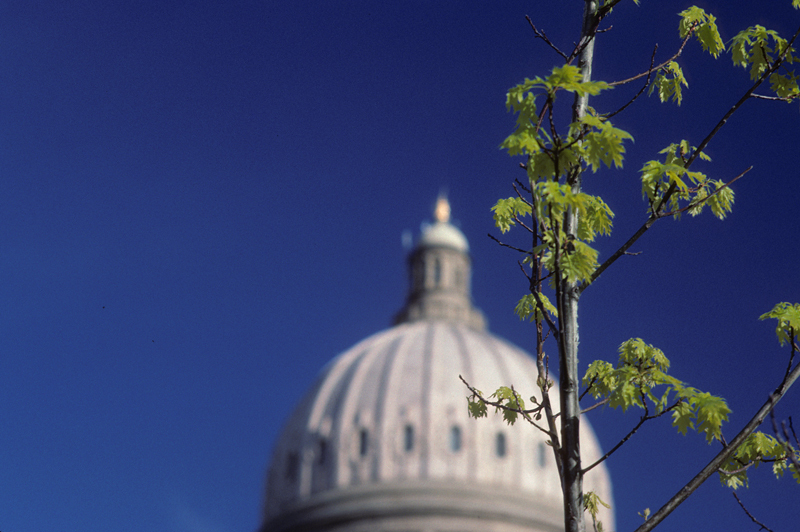 The dome of the Idaho State Capitol building. When the second phase of construction was completed in 1920, total cost of the building was approximately two million dollars. In comparison, a restoration and renovation undertaken in 2000 was upwards of 64 million dollars. Dome was posted on Thursday, February 19th, 2015 in the morning by Olen Daelhousen, who photographed it using a Fujica AX-5 loaded with Kodak Kodachrome 64. The image is filed under: Buildings, Trees.